I have made quite a few pairs of baby booties over the last 6 month (no, I don’t have news, in case you were wondering), and this is my go-to pattern for crochet baby booties. It is extremely simple, but lends itself well to embellishment. You can add appliques, change colours (once or a lot! ), or modify the design completely to suit your need. Whatever the case may be, this simple pattern is a wonderful place to start if you would like to create (or even design) your own unique baby booties. 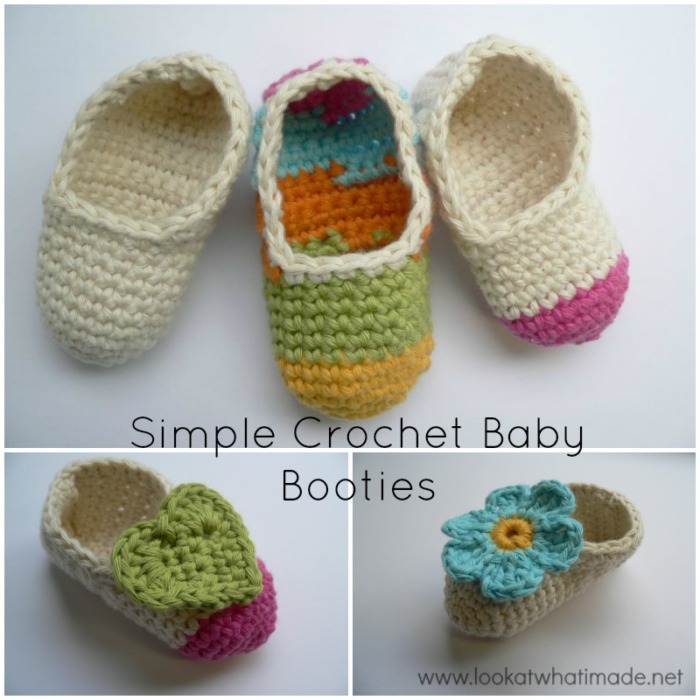 If you have made lots of baby booties (or other crochet slippers) before, you will know that there are two ways to create your ‘shoes’. You can either crochet a sole and then work around it in rounds, like I did with my Chunky Crochet Slippers, or you can work them toe-to-heel, creating the sole and the shoe in one go, like the Textured Ballet Slippers I made 5 years ago. The benefit of working toe-to-heel is that you can adapt the pattern for different sizes by increasing the initial ‘increase rounds’ (to get a wider toe-tip), the subsequent ‘no-increase rounds’ (to get a wider and longer toe section), and the rows (to get a wider, longer sole and foot part). Once you have the technique mastered, you can play around with using different stitches, which will alter the look of your baby booties completely. 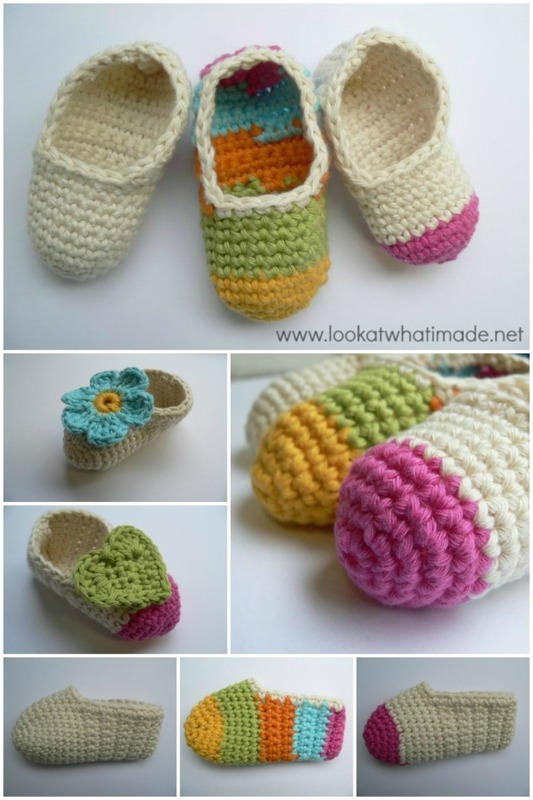 To get you started, I have written a FREE pattern and photo tutorial for these crochet baby booties. You can find it HERE on Craftsy. Those of you who like PDFs will be pleased to know that there is an option to download the pattern as a PDF (also free). I have supplied instructions for 3 different sizes (obtained by changing yarn weight and hook size, rather than altering stitch counts): 0-3 months, 3-6 months, and 6-12 months. The pattern also includes some tips for customizing your baby booties, along with links to a few cute appliques. So cute! I love this pattern with appliques…Good idea! I would like to try these booties with 2 colors…it’s so beautiful.